Now in its 17th year, Florida's Birding & Photo Fest has gained international acclaim among nature lovers and photography enthusiasts, with attendance growing every year. Headquartered this year at Celebration Hall at St. Anastasia on St. Augustine Beach, the event runs from Wednesday, April 24, to Sunday, April 28, 2019, and features well over 100 events, classes, and outdoor excursions this year. Each day is jam-packed with activities, with a variety of field workshops on birding and nature photography clinics. The nature tours this year include sunrise and sunset outdoor adventures and everything in between. Specialized tours are offered on area parks and beaches, on boat and kayak tours, and nature tours in several of the area's beautiful state and county parks. Photography classes range from beginners-level lectures on digital asset management and basic Photoshop or Lightroom skills to advanced seminars on digiscoping techniques and much more. The opening reception address will be given this year by renowned photographer Joe Brady. The Keynote Presentation on Friday, April 26 (6:30 – 8:30 p.m.) will open with a session with underwater photographer Ben Hicks. The keynote speaker will be acclaimed photographer and Canon Explorer of Light Rick Sammon. There will be 18 speakers and presenters at the 17th Annual Florida's Birding & Photo Fest, including Scott Bourne, Joe Brady, Charles Glatzer, Ben Hicks, Ken Hubbard, Lewis Kemper, Roman Kurywczak, Bobbi Lane, Lisa Langell, Mandy Lea, Kevin Loughlin, Tim McEver, Jack Rogers, Rick Sammon, Lee Varis, Shiv Verma, Dan Walters, and Brett Wells. 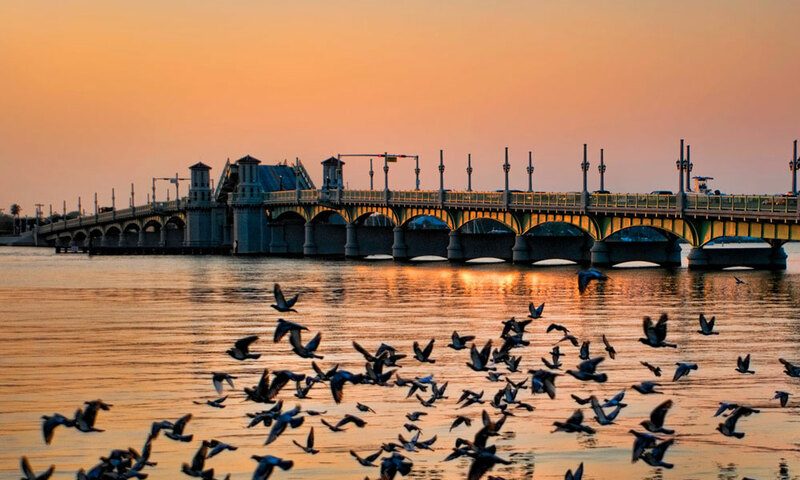 Numerous programs will take place throughout the festival including kayaking excursions, eco boat tours, birding and walking excursions as well as several events at the St. Augustine Alligator Farm. Each day offers events throughout the day, beginning at dawn and continuing through the evenings. Some of the presentations are free, while classes and excursions vary in price from $10 to $100. 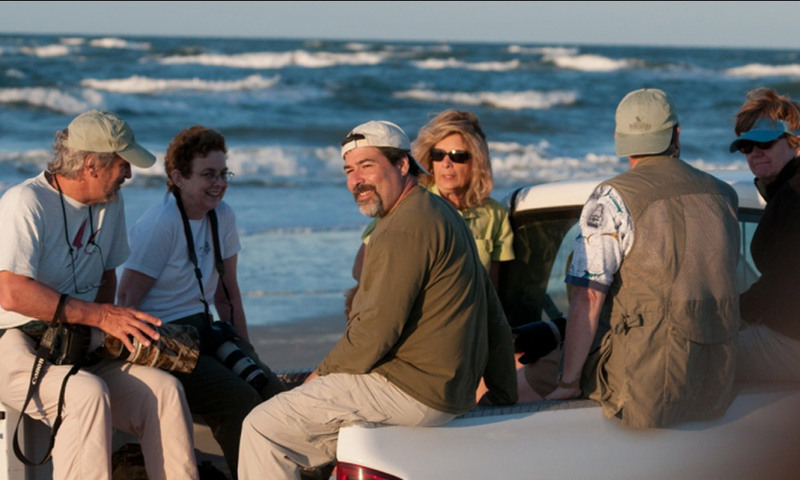 From birding and walking tours and explorations into the intricacies of digital photography to eco boat tours and paddleboard excursions, the 17th Annual Florida’s Birding & Photo Fest offers nature lovers and photography buffs a unique opportunity to expand their horizons. Here are links to the full schedules for each individual day: Wednesday, April 24, Thursday, April 25, Friday, April 26, Saturday, April 27, and Sunday, April 28, 2018. 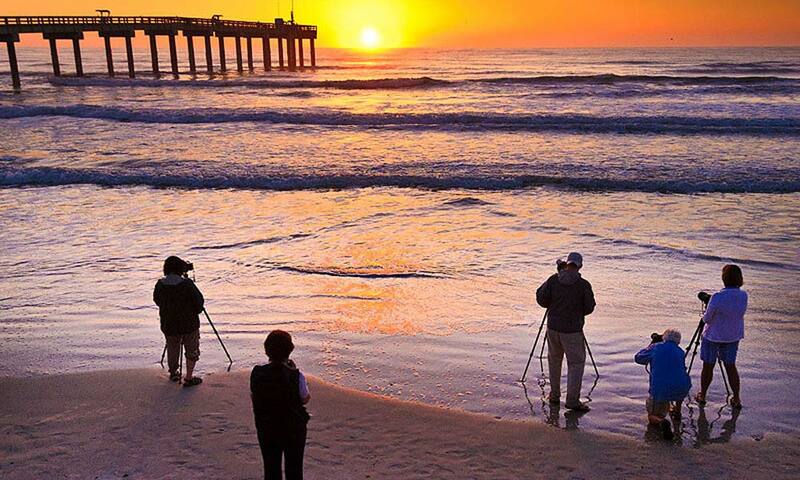 Every year, Florida's Birding and Photo Fest sponsors a photo contest for all participants. They offer valuable prizes for first through third places (first prize is a Sigma 100-400mm lens) as well as a People’s Choice award. The deadline to get photos in for the contest is Friday, March 29, 2019. Please visit here for contest details. A Young Birders photo contest is also offered for anyone 17 or under. In 2019, the contest is held in honor of Cameron Bespolka, a young man who was passionate about photography and birdwatching. The submission deadline is the same (March 29, 2019), with a parent’s or guardian’s permission. Register for the Young Birders photo contest here. 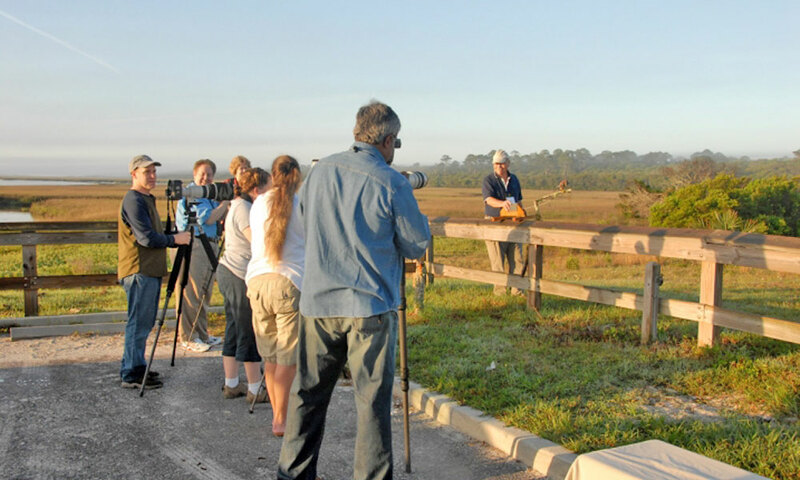 Hotels that offer special deals for guests attending Florida's Birding and Photo Fest include Beacher's Lodge Oceanfront Suites, Howard Johnson by Wyndham Historic District, Guy Harvey Outpost Resort, Jaybird's Inn, The Ocean Gallery Condominiums, Pier Point South Oceanfront Condominiums, the Ponce St Augustine Hotel, and Sleep Inn St. Augustine. For more information about host hotels and for details on special offers, visit here. There is a one-time registration fee of $25.00. All classes, workshops, and activities have their own cost, which is listed on the schedules. All participants are required to pay the registration fee in order to be placed on the 2019 festival guest list (any persons who have not pre-registered will be required to do so on-site). When: Wednesday – Sunday, April 24 – April 28, 2019. The opening reception will be on Wednesday, April 24, from 3:00 to 5:00 p.m., and the keynote reception will be on Friday, April 26, from 6:30 to 8:30 p.m. Both receptions will take place at the Guy Harvey Resort at 860 A1A Beach Blvd. in St. Augustine Beach, FL 32084. Individual events will take place throughout the area; visit the festival website for complete information. Where: The festival is headquartered at Celebration Hall at St. Anastasia Catholic Church, 5205 A1A South in St. Augustine Beach, FL 32080. Visit here to download maps for all these locations. For more information on this event please call (904) 209-4422 or visit here.